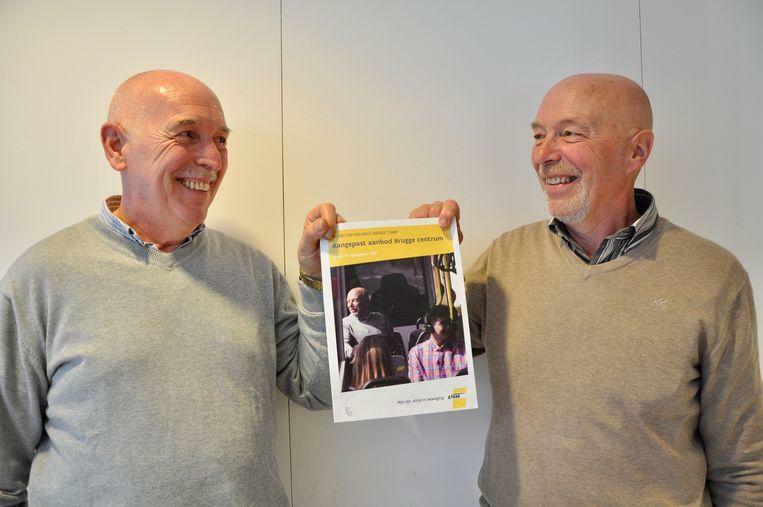 © Evie Landuyt Marc Van Ooteghem from Knokke (left) and Eric Landuyt from Meulebeke, during their very first meeting. 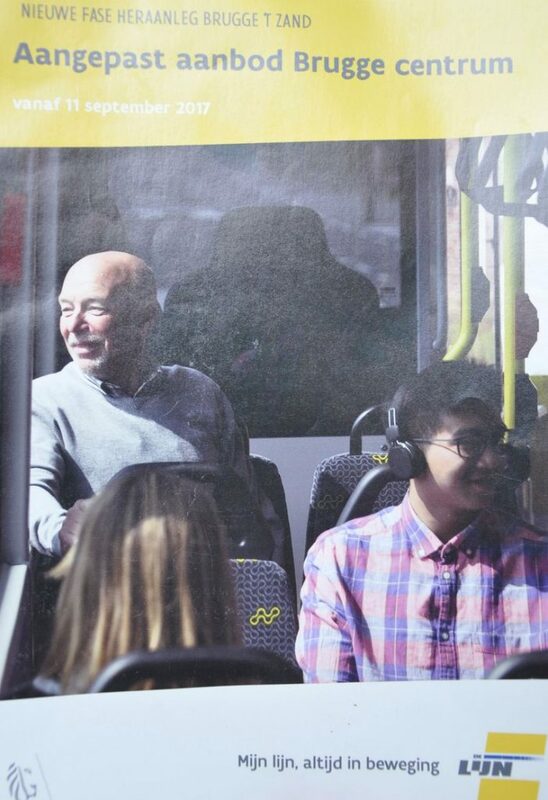 ©Evie Landuyt – Marc Van Ooteghem pulled strange eyes when he thought he saw himself in a De Lijn campaign. The surprise from the first moment makes way for slight anger at Van Ooteghem, who regularly uses public transport. “I thought they had photographed me in the sneak,” the man explains. “That’s why I filed a complaint with De Lijn. To my surprise, they reported that the portrait rights were completely in order and I had to turn to my casting agency with further questions.” Van Ooteghem was surprised. “I have no contacts at all with a casting agency,” says the man who then left the matter alone. David brought his father and his ‘double’ Eric together. “I lured my father with an excuse. 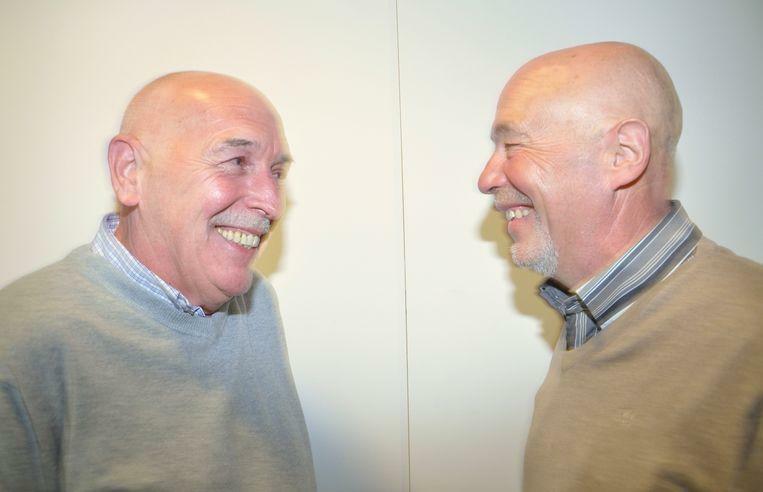 You should have seen his face when he suddenly came face to face with Eric.” Marc Van Ooteghem did not believe his eyes. “Normally I always know what to say, but that moment I was really full of teeth,” the man admits. “It is also unreal. It was just like looking in a mirror. 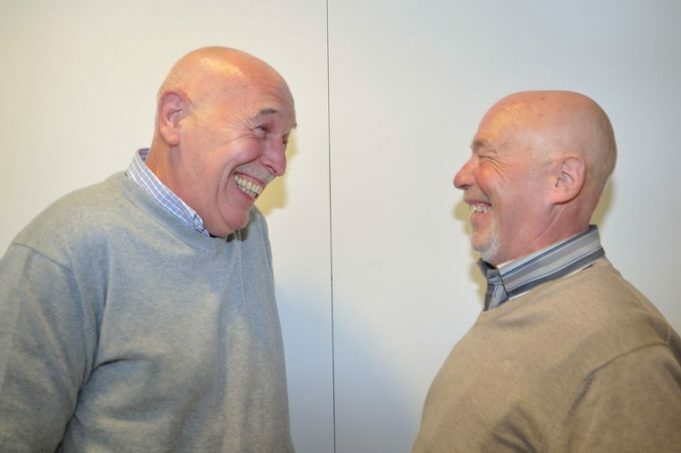 Eyes, teeth, even the number of wrinkles, it’s all right.” Eric, too, who knew he would meet his double, was impressed. “Marc has already suggested to me to do something together as a duo. I am looking forward to that. In any case, that first meeting was not our last, I am sure. And outsiders will have a tough time keeping us apart if they see us together ”, the man concludes.